DUBLIN, Va. (AP) — The parents of a 5-year-old Virginia boy found dead in a septic tank have been charged with felony child abuse and neglect. 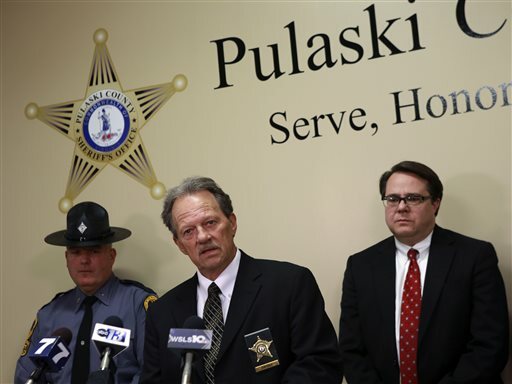 Media outlets report that Pulaski County Sheriff Jim Davis announced the arrests of Ashley Jennifer White and Paul Thomas on Thursday. Authorities have said Noah Thomas was watching cartoons around 8 a.m. March 22 when White went to take a nap with her 8-month-old daughter. When she awoke about 10:35 a.m., Noah was missing. His body was found March 26 in the septic tank on the family’s property. The defendants each face two charges — one involving Noah, another linked to the infant. They’re being held without bond at New River Valley Regional Jail. It was unclear whether they had an attorney who could comment on the charges. Tags: ashley white, noah thomas, paul thomas. Bookmark the permalink.